No self-respecting member of the undead would dare be caught with perfect teeth! Given all the munching and crunching that zombies do, the Rotted Zombie Teeth are just about what a zombies teeth might really look like. Just remember, though, that as rotted, decayed, or gapped as a zombies teeth might look, they are still dangerous to living humans. 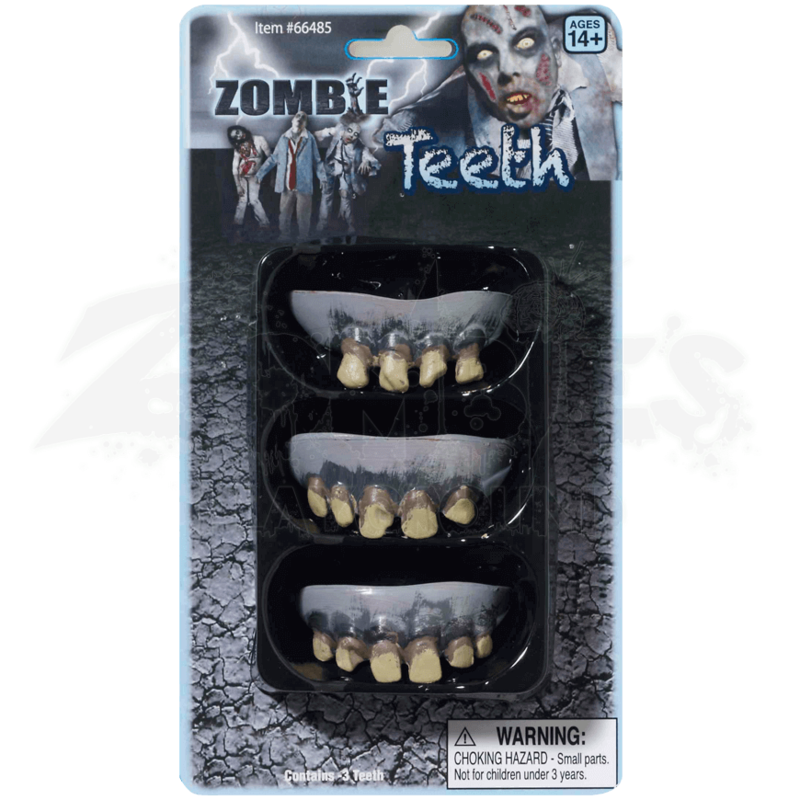 Each package contains 3 different sets of zombie teeth and gums to provide a variety of different teeth for any zombie who might like to have a choice on the matter. 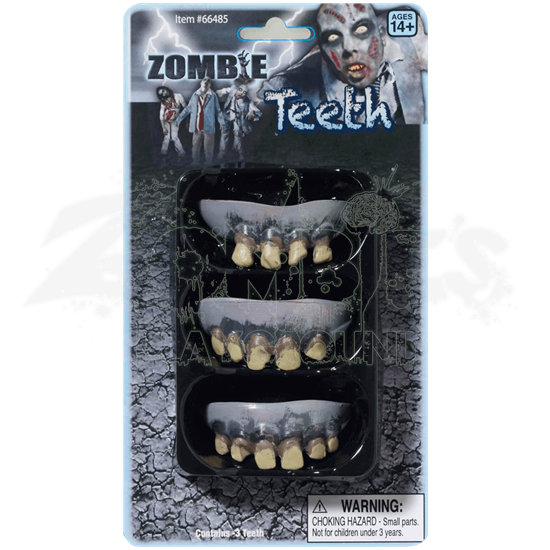 Each piece features grayed zombie gums and rotted teeth, although one set features four misshapen teeth, another features five jagged, uneven teeth, and the last features six gapped but undamaged teeth. Best of all, no dentist is required to apply these Rotted Zombie Teeth, unless you happen to be hungry and want to try out your new teeth on a dentist snack. Wounds inflicted by claws are often horrendous and bloody in appearance. 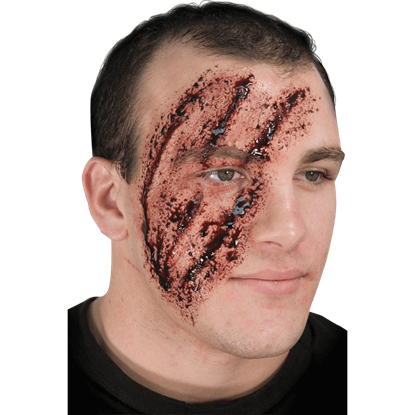 This Shredded Face Prosthetic is a two-piece application that, when applied, creates a wicked and gory series of gashes that run across the face. With this costume appliance in place, all you will need is a white opera mask and a cape to become the perfect phantom of any opera. 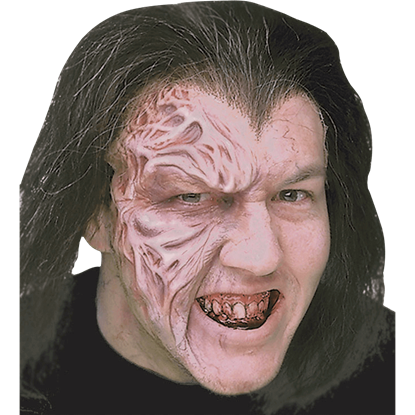 The Phantom Face Prosthetic is a half-face appliance that depicts a hideous burn scar. Waking up and looking in the mirror might make you scream when you are wearing the Morning After Latex Appliance. 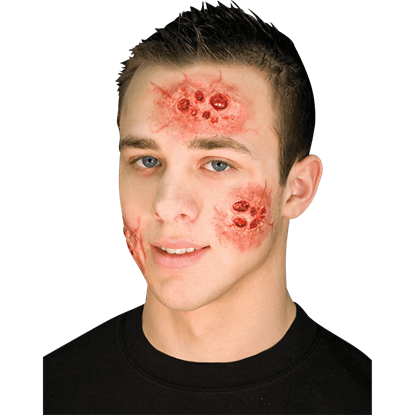 This gory wound special effect will give you a dramatic, gruesome appearance for Halloween or the stage. Are you having a hard time with your zombie rot? 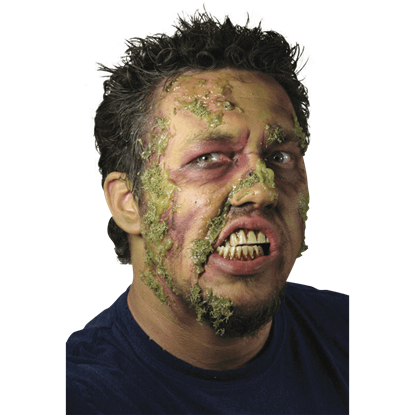 If you cannot get the customized look you need with other prosthetics, the Zombie Rot Gel will allow you to create your own personal touch of realistic zombie rot and decay! Crawling through the graveyard foliage after robbing the dead, a thorny plant punished your greed. The Itchy Wound Latex Appliance displays a patch of grotesque skin that has been irritated by some form of toxic substance.